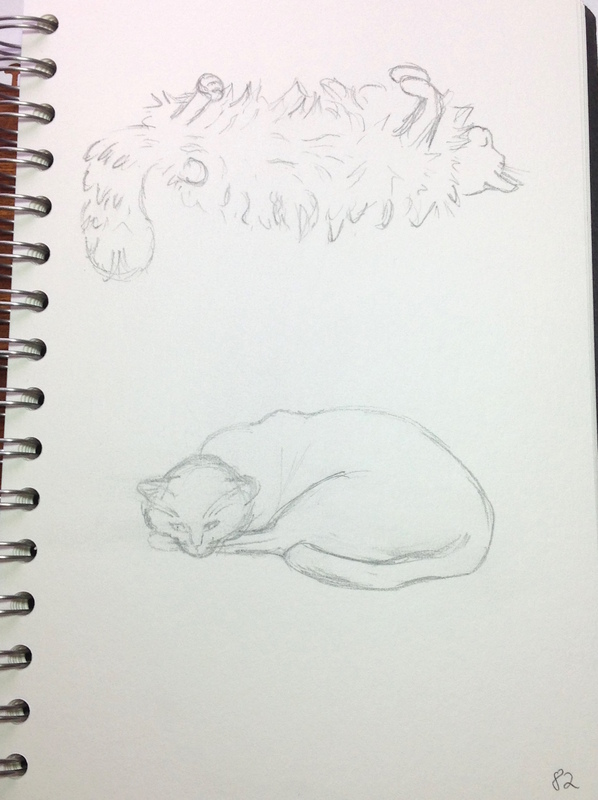 C17: Day 82 – Floof! Bit of a mixed bag today. You might spot that the top kitteh today is not Mewton or Grabbity, he’s just a bit too floofy for that! He is, in fact, Emo, one of their brothers, who is basically just made of fur and dribble. Obviously this is from a photo, but it’s not too bad at capturing the vast amounts of fluff that make up an Emo. The bottom one is Grabbity, and it’s just not good. Bad proportions, head’s all wrong. Bah. Should have quit whilst I was, erm, ahead. Oh well, live and learn.